For nearly a decade ‘round the turn of the century, The Essex Green was one of the best peripheral bands—i.e. not The Apples In Stereo, Neutral Milk Hotel or Olivia Tremor Control—affiliated with the influential indie-pop collective known as The Elephant 6 Recording Co.
More precisely, many of those secondary Elephant 6 bands had a sort of hodgepodge quality. There were fleeting glimpses of good ideas in between the inexperienced playing and/or production experiments. The results were usually charming, they just weren’t always good. But The Essex Green was good from the get-go. Formed in Brooklyn, the band’s three albums between 1999 and 2006 are full of well-crafted folk-pop draped in melancholy and ‘60s-ish psychedelic vibes, with occasional forays into rock and country. The band’s 2006 album Cannibal Sea sounds like the album Belle & Sebastian’s been trying to make for 15 years. The new album is called Hardly Electronic, and after a 12-year hiatus, it doesn’t miss a beat. The first track, “Sloane Ranger,” makes that clear, with its bouncing bass line, its sprightly keyboard melody, its male/female vocal interplay and the horn part flawlessly threaded through the arrangement. Listen to Hardly Electronic, and you’ll discover one of 2018’s best songs before you even get to the second track. Elsewhere, The Essex Green engage in their typical exploration of other musical avenues. “Patsy Desmond” is a blurry, jazz-tinged folk song spiked with a noisy interlude. Keyboards drive the vaguely vintage-feeling pop ‘n’ soul number “Modern Rain.” “Don’t Leave It In Our Hands” is at once lush and prickly; call it harmony-heavy post-punk-pop. And “Bye Bye Crow” finds the band showing off its big-city take on country music, dropping some sugary doo wop vocals in among the slide-guitar swoops. At 14 tracks long, there are a few songs on Hardly Electronic that feel superfluous. 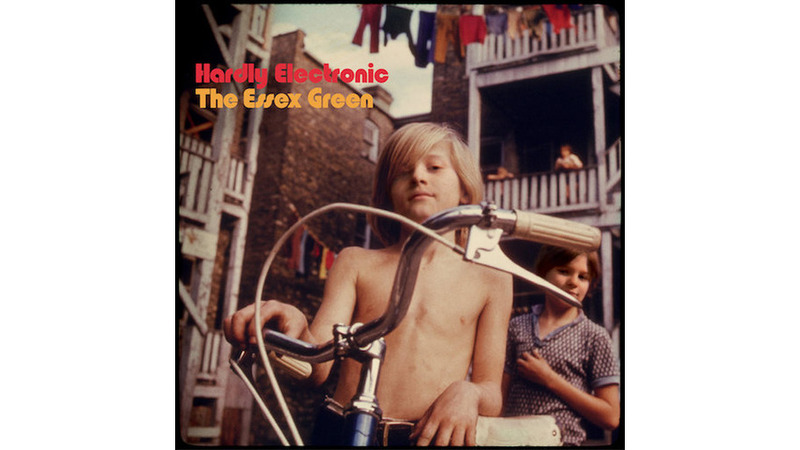 But that’s a minor quibble, especially since we’ve been without new music from The Essex Green for a dozen years. Greedily, it would’ve been nice to have three or four albums during that span, but there were rivers to navigate and elk to observe and art-work-life balance to mind. And now, Hardly Electronic is here, and it more than makes up for lost time.